CAC3D There are 11 products. Catalog and estimated value from the website cote-a-cas. 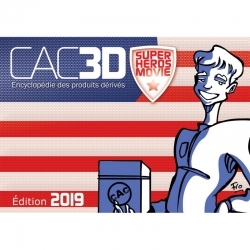 2019 Version, 240 pages, special Super Heroes Movie. A5 size: 210x145mm. Catalog and estimated value from the website cote-a-cas. 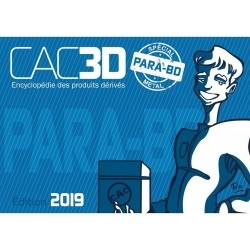 2019 Version, 350 pages, special Metal. A5 size: 210x145mm. High quality Acrylic collectible figurine Art To Print, product designed and made in France. Young Spirou. Height: 34cm. 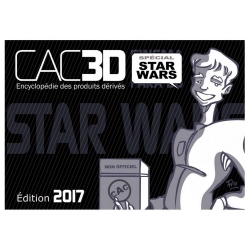 Delivery with the catalog and estimated value from the website cote-a-cas. 2018 Version, 350 pages, special Resin. A5 size: 210x145mm. Collectible metal figure Like An Angel, exclusivity Zedibulle, 100 copies, 100% made in france. Limited edition and numbered 100 copies with certificate of authenticity. 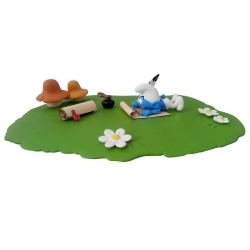 Poet Smurf, with his pen, his ink pot, a base with mushrooms and daisies + CAC3D Special Smurfs (2018). Catalog and estimated value from the website cote-a-cas. 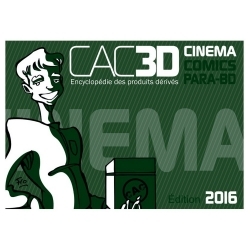 2018 Version, 100 pages, special Smurfs & Cie. A5 size: 210x145mm. Catalog and estimated value from the website cote-a-cas. 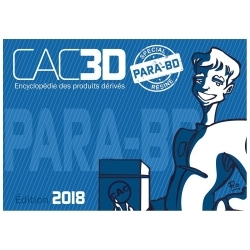 2018 Version, 350 pages, special Resin. A5 size: 210x145mm. Catalog and estimated value from the website cote-a-cas. 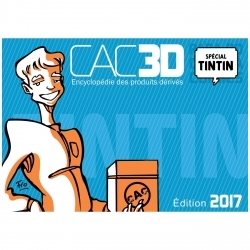 2017 Version, 200 pages, special Tintin. A5 size: 210mm x 145mm. Catalog and estimated value from the website cote-a-cas. 2017 Version, 400 pages. A5 size: 210mm x 145mm.